So you might now be considering some names for pitbull puppies or more specifically, male pitbull puppy names and girl pitbull puppy names. It’s a bit challenging to choose the perfect name. You may want to name him or her with some popular pitbull name or maybe make a choice based on his or her physical characteristics and attitude. There is a variety of names that could be suggested. Depending whether he is a male or she is a female, but what makes it special is the corresponding meaning it has. Let’s start with some male pitbull names picked from A Place for Pit Bulls with corresponding short descriptions and meanings which could be your first option for naming your pitbull. Also, Puppy Names could guide you to naming your puppies. The following categories will give you a list of ideas for males and females. Before giving you suggestions for pitbull male names, we may first check on some information about them. For males, the height ranges from 18-21 inches and its weight varies from 35-60 lbs. Like any other dogs, the height and weight of males differ from females, which give them a more masculine look. That’s why most of the names of male pitbulls or any other breed in general is that which would describe them as being strong, masculine type. From Dog-Names-and-More.com, they cite unique male pitbull names such as Bogart, Bully, Chunky, Duke, Fang, Jaws, Killer and Taz among others. Bogart – after the famous tough guy actor Humphrey Bogart. 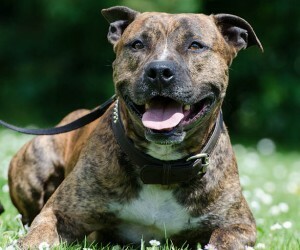 Bully, is perfect for a male pitbull as it reflects on the second part of the breed rather than any expected behavior. Chunky, reflects the body type of this canine. They are quite stocky with short legs of the length and size of the body. Duke is a masculine sounding name with the seemingly effect of authority. Fang, pitbulls when threatened, they lift a lip in a growl, showing their rather impressive fangs which often is sufficient to make the problem go away. Jaws, it’s more intimidating than little Fang if the latter is not effective in doing the trick. Taz, or short for Tazmanian Devil. This is an excellent idea for the dog that’s a fearless fighter. Other suggestions from the site are: Achilles, Gangsta, Gatsby, Gizmo, Bacardi, Gunner, Porsche, Piccard, Razor, Reed, Quinn, Hobbit, Hustler. Dogtime.com also has a list of suggestions: Boca, Bongo, Clover, Einstein, Levi, Monk, Nibbles and Spirit. Given to a pitbull who acts older than his age or to pitties with grey hair. Man of wealth and prosperity. For a rambunctious or rowdy pit bull. Just like Storm, the name Thunder has the same effect and meaning. From a type of fossil fuel. All the pitbull names mentioned above are of one common and general effect and characteristics; they depict the personality of a male pitbull being masculine and strong, sometimes of rowdy personality. Female Pit Bull weighs 30-50 lbs. and of 17-20 inches in height. Following that the Male Pit Bull should be named as that which could describe their masculinity and of being strong in characteristic; then, girl pitbull names should also be of description to the uniqueness and femininity of them. Being females, they are described as lesser aggressive with other dogs compared to male pitbulls though both are known to be friendly to humans especially children. Some pitbull names may be chosen because of their girly or feminine meaning, some names are after the names of the goddess and some are awesome names expressing the unique, loving and caring of these female pitbulls. Whatever the reason that you will choose from those mentioned above, there are a lot of nice pitbull names to choose from A-Z with different wonderful meanings and origin. Conjures up thoughts of the beautiful Aspen tree during the fall color time in Colorado. Comes from badger, a mammal related to the ferret which can bite quite hard if threatened. They don’t have a heart of gold like your Pit Bull. As noted in the website, this is a great name for your pitbull girl because she will always be looking for clues to follow and scents to smell. This will give your female pit bull the characteristic of excelling at anything. Fidget indicates nervousness when threatened. This is a good female choice for the girl Pit Bull that’s ready at all times to protect. This is a cool Pit Bull female name if your girl is a looker. As smart as a fox, she always gets her man! For you female Pit Bull means “drifter” staying in one place only a short time. Your Pit Bull will be loyal to you, but ready to roam. Refers to a tasty Cajun dish. Creole might be another interesting choice. It is said that raven is a messenger of death or bad times, a good name for a black Pit Bul. Other suggested pitbull names would be Hawk or Eagle. While your female Pit may not be evil or wicked on her intentions, anyone who threatens you won’t know this. Other name suggestions are Affinity, Aggie, Akira, Bam-Bam, Banzai, Happy Feet, Harlow, Heartbreaker, Peaches, Pepper. 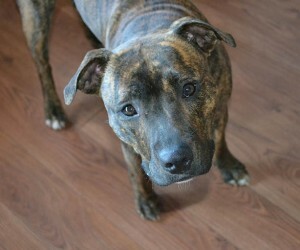 Dogtime.com also gives the following female pitbull dog names list; some are actually mentioned in the list above: Avanti, Gypsy, Jazz, Moondance, Piper, Roxy, Scuba and Sheba. There are indeed lots of pitbull names which are unique, cool and wonderful that you could choose from. Stay away from calling your pal something potentially embarrassing like “Stinky”. Does your choice rhyme with something negative? Or maybe with the name of a family member or friend? Be mindful that your pooch might outgrow its title. Keep it one or two syllables. Dogs not only learn it quicker, but it makes them easier to train. Here’s a good tip, pick a title that matches your pals appearance or personality. Lightning might be a good choice for an energetic pooch, but not for one that sleeps all day. Avoid titles that sound like common commands such as Go, Stay, Sit, etc. Watch out for trendy choices that might cause embarrassment once the trend is passed. Beware of the common trend to call your puppy after people. As your pooch what he/she thinks! If you’ve adopted an older dog, it’s best to keep its current moniker so that it doesn’t become confused. 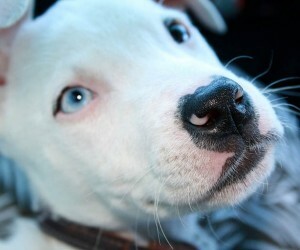 Pit Bull is also called the American Pit Bull Terrier (APBT) or Pit. 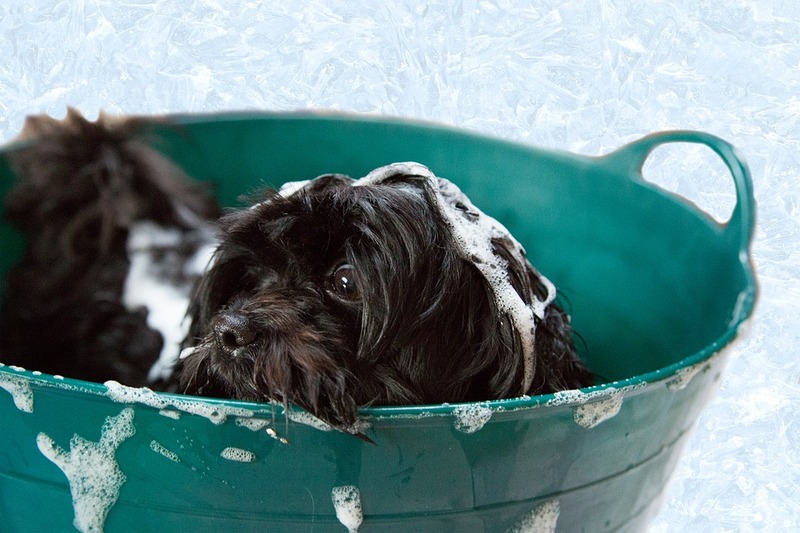 These dogs are described as loyal and devoted to their owners and are quick learners. It is also known for being athletic, a people-pleaser, joyful and loves children. This video will give you even more pitbull names. If you are considering owning one, then aside from knowing its physical characteristics and how to care for them, you must have in mind what are the good names for pitbulls. Of course, you want to become more personal when it comes to naming your Pit. With all the gangster male & female pitbull names suggested and with these tips given, you’re now ready to give your Pit that sweet endearment!